installation, your new vehicle-specific enclosed subwoofer system will deliver years of listening pleasure. caused by the force exerted by the woofer(s). Remove all contents from the rear seating area. Remove the jack, jack tools and the jack’s mounting bracket. The jack and the jack tools must be relocated. 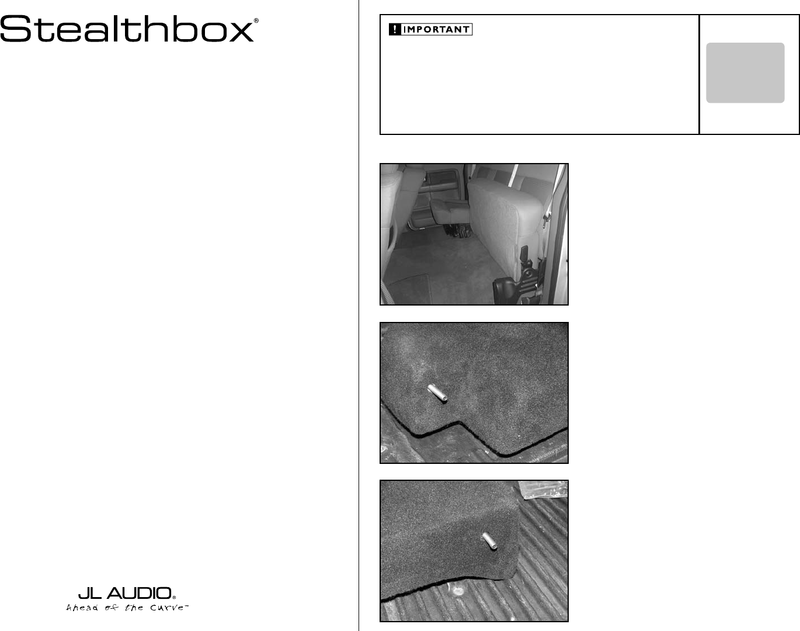 of the Stealthbox®, leaving 1.0” of the threads exposed.